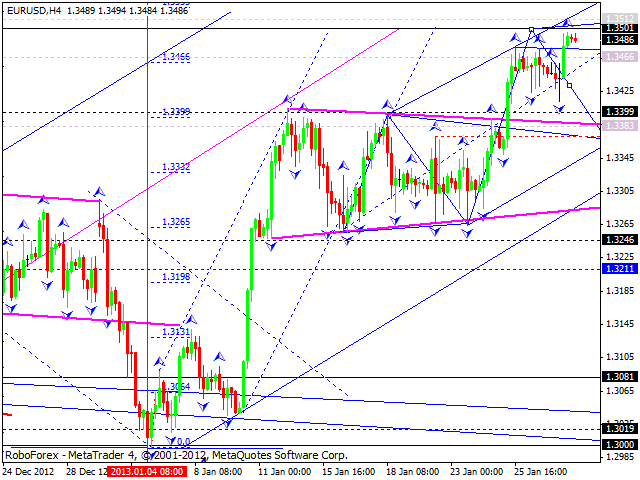 The EUR/USD currency pair continues moving upwards. 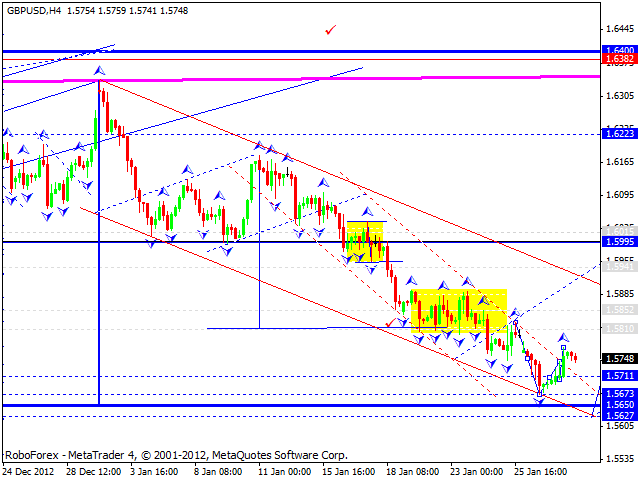 The market hasn’t been able to reach a target level so far; at the moment the price is just several pips away from it. I think today the pair grow up a little bit and then form a pivot point to make a reverse and start a correction towards the level of 1.3080. 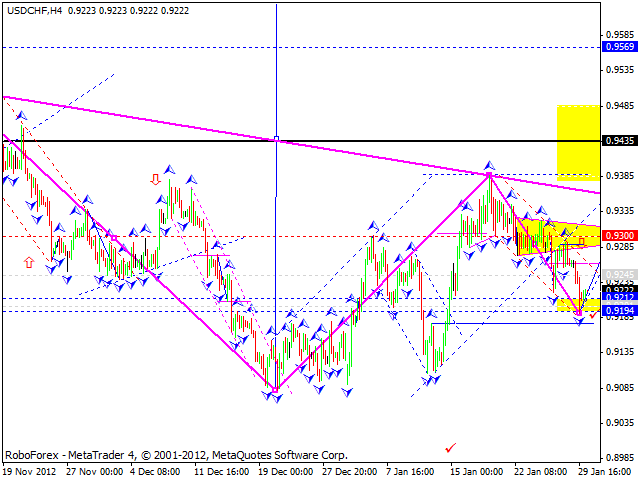 The GBP/USD currency pair has already formed tow ascending impulses and today may form another one. Only after that we will have a chance to define if the price is going to continue growing up. However, in my opinion, before that the pair needs to renew its minimum once again. 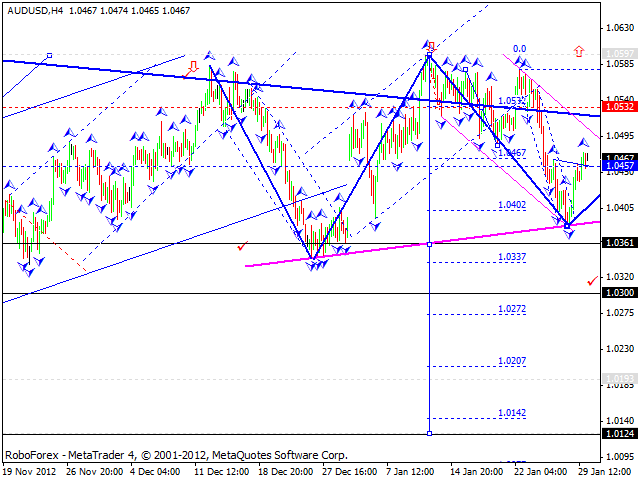 The USD/CHF currency pair finished a correctional wave and now the whole structure may be considered completed. This pattern looks like head & shoulders, a classical reversal pattern. 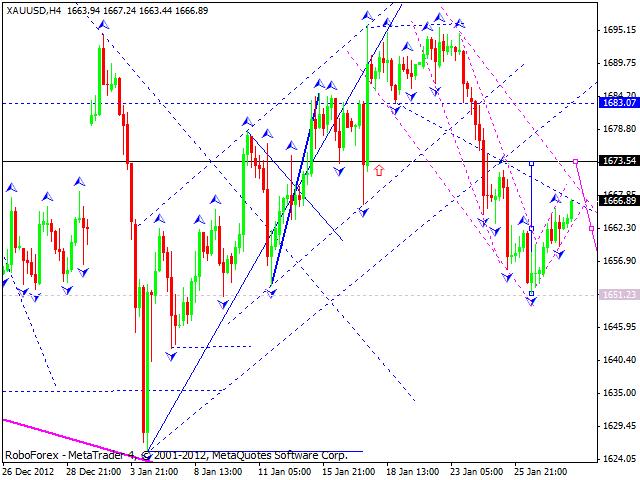 If the price leaves the pattern from the right shoulder, the pair may start a new ascending wave. The USD/JPY currency pair is still moving near the level of 91. I think today the price may continue growing up to reach the level of 91.60 or even 92.30, and then start forming a new consolidation channel towards the target at 94.70. Australian Dollar continues moving near the level of 1.0455; the pair formed a continuation pattern to grow up and reach the target at 1.0530. 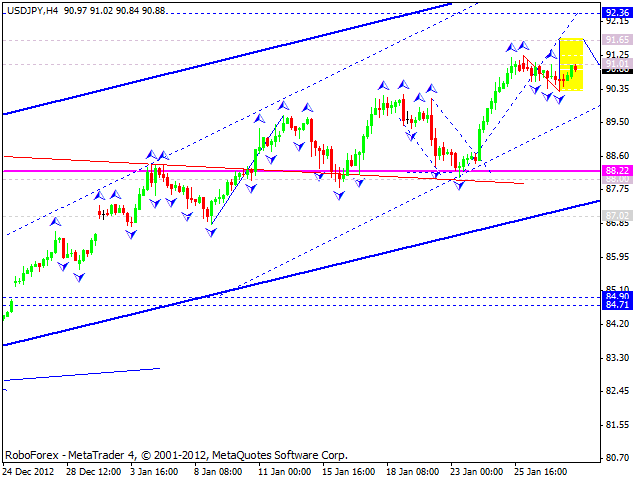 In my opinion, the whole structure may be considered as reversal pattern, head & shoulders. The targets of this structure are at the level of 1.0125. Gold continues moving upwards. I think today the price may grow up to break the level of 1673 and then try to reach a new local minimum again.